Who doesn’t have bills to pay? With a lot of new stuff out in the market, who wouldn’t want to buy any? When you want to buy something, you have to pay the bill in order to get it. A billing statement, more commonly known as the bill, is an itemized list of goods and services. It is a document where particulars are written as a form of agreement between a customer and seller. Billing statements come in different forms. Some of them are in receipts or invoices, bank accounts, and credit card statements to name a few. 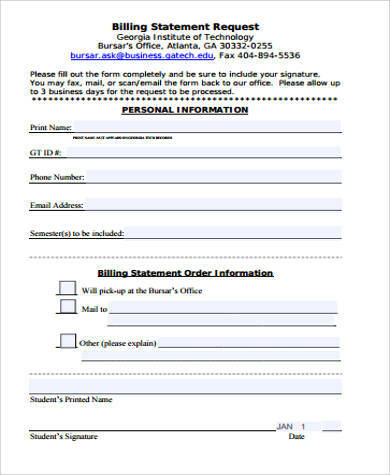 There are also billing statements that are sent via email. 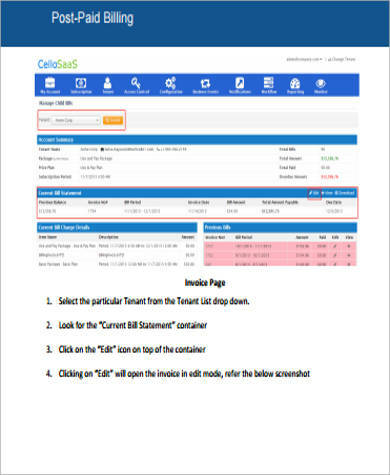 These billing statement samples we have here for you can help you with your billing statement needs. We also have Sample Statements that you may also find useful. In this type of billing system, the invoice or billing statement is issued to the consumer even before the goods or services are consumed. 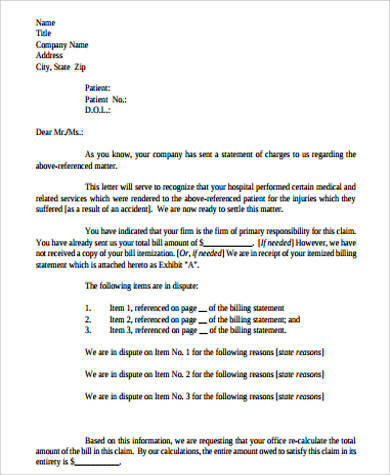 This type of billing system is common in online shopping and in hospitals before a surgery is scheduled. 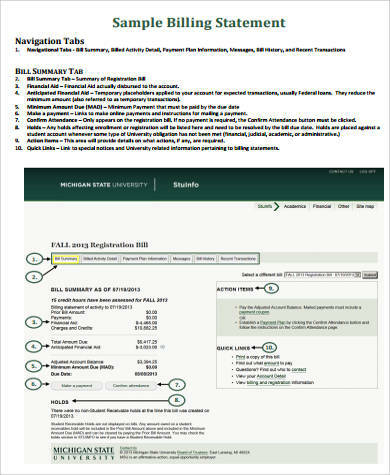 Contrary to the pre-billing system, the post-billing system issues the invoice or the billing statement after the goods and services are consumed. This type of billing system is used among telecommunications companies who offer postpaid plans, cable, and internet service providers and credit cards. This postpaid billing statement is an example of a post-billing statement. This billing statement is great for businesses who are offering services to their customers before payment is made. 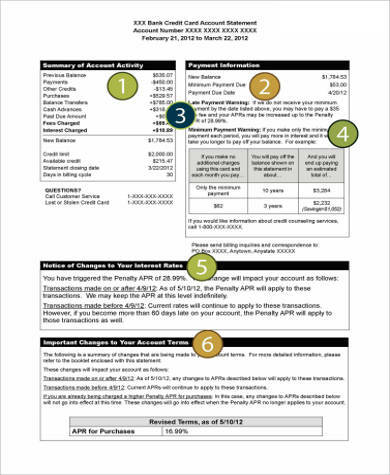 A credit card account statement shows a list and the prices of all the purchases made by the customer within their billing cycle. It shows any unpaid balances from their previous billing cycle and any fees or interests that they have incurred. 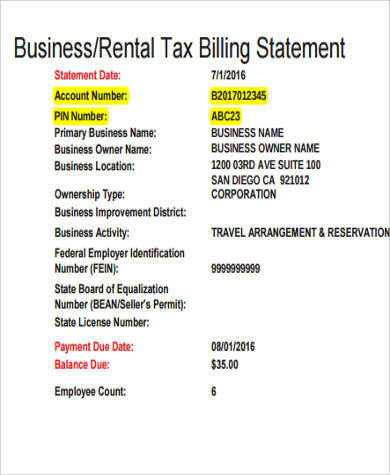 It is important that your business or rental billing statement includes details, like date of the payment, address, and name of the business and name of the owner. This will make your billing statement look genuine. Aside from this sample, we also have Safety Statement Samples, Sample Income Statements that are also useful for your business. A billing statement serves as a reminder for customers that they need to pay their dues. It provides them information about their due date, previous balances if they have any, and the amount that they need to pay. It also serves a written document for both seller and customer about a purchase and may be used to make disputes. It is like a legal document wherein both parties agreed to the transaction or purchase. A billing statement is like a list of all the things that one has purchased, so it is also helpful in tracking your expenses and finding out where your money went. That way you won’t have to wonder what happened to your hard-earned income. It serves as a reference for a purchase of any goods or services. Billing statements come in different forms. 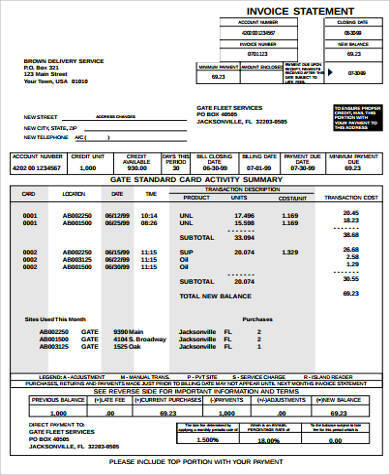 Some billing statements are available online in Web and PDF formats and others are printed on paper and are sent to the customer’s address. 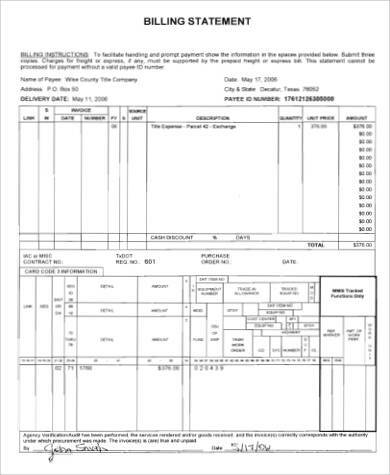 There are also billing statements that contain opening statements. You might also want to check out Opening Statement Samples. Whatever format you want, make sure that they have all those details necessary for a genuine billing statement.